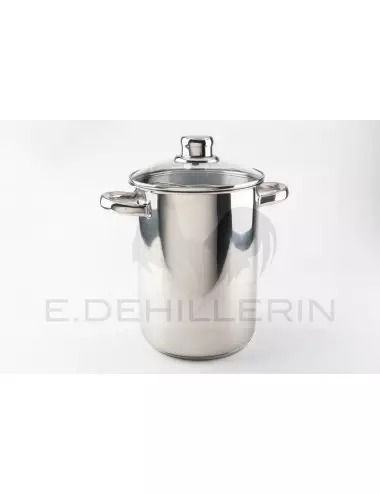 Stainless steel pot, s/steel handle and basket, glass lid. 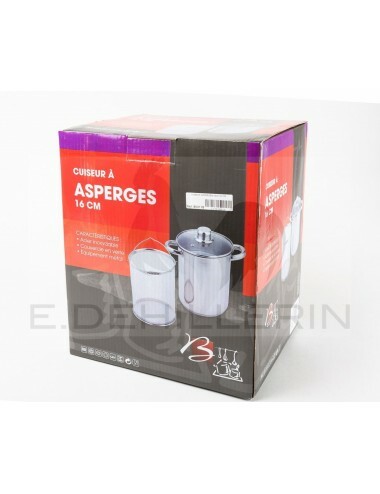 This high and narrow pot with its basket is specially designed for cooking asparagus. The glass lid lets you view boiling and cooking. Diameter 16 cm. what is it for ? 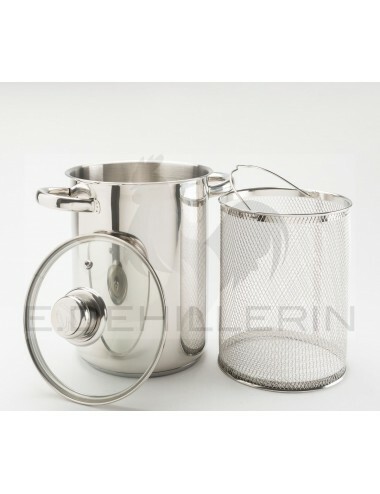 Stainless steel pot, s/steel handle and basket, glass lid. This high and narrow pot with its basket is specially designed for cooking asparagus. The glass lid lets you view boiling and cooking. Diameter 16 cm.